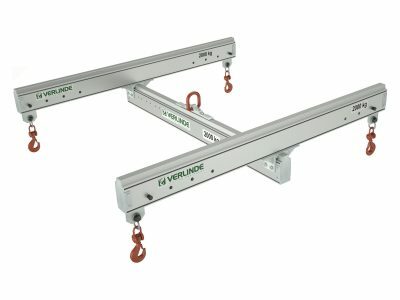 Our range of aluminium lifting beams and spreader beams includes four point lifting frames and centre eye lifting beams, both with the option of fixed or adjustable drop centres. 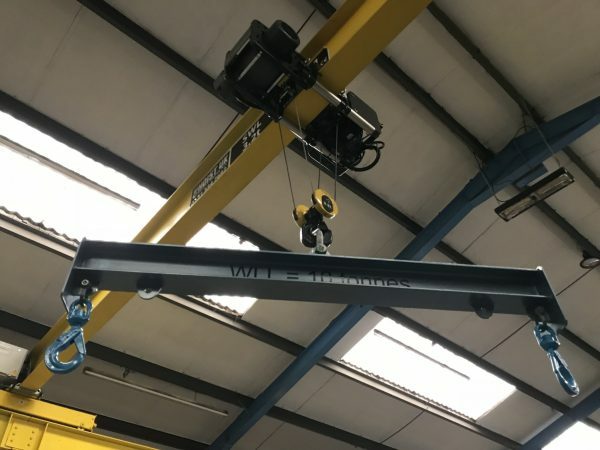 The use of aluminium give you major benefits as its lighter than its steel equivalent, making it possible to utilise more of the hoists lifting capacity than using a beam of steel construction, so therefore you are able to pick up larger loads with the same hoist. If this range does not suit your particular application, please talk to our technical sales team who will be able to quote you for a bespoke lifting or spreader beam / frame, that will be suitable for your lifting operation. 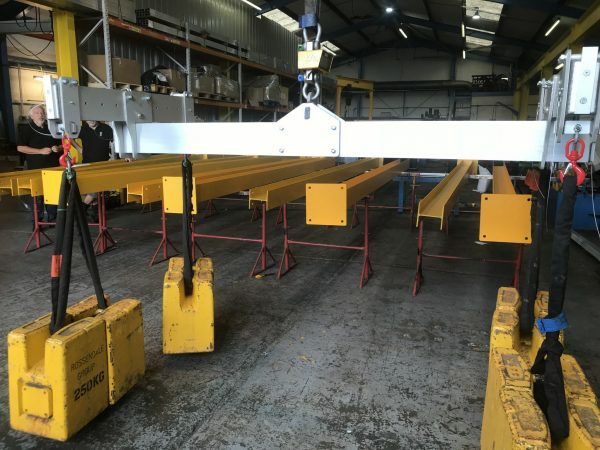 Lifting beams, spreaders and frames can be designed for general purpose or as bespoke beams for a specific use with a planned range of lifts. 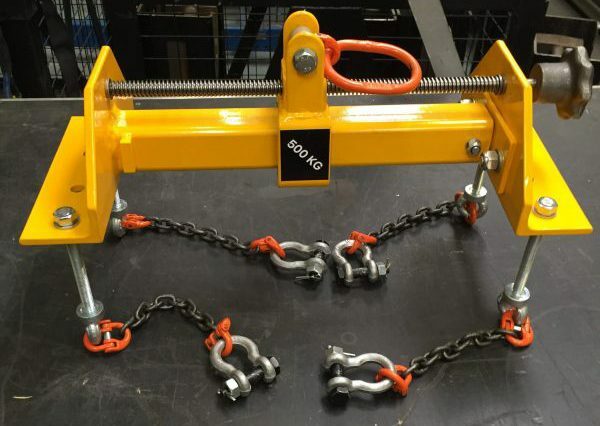 A means of handling loads requiring special attachments such as hooks, plate clamps, etc. Our customer operates within the hydro-power sector and required a robust lifting solution to manage loads with varying weights in an industrial operation. The customers intended application is to lift large and cumbersome machinery, so the application required the maximum possible height of lift. Due to the varied size and weight of the loads, our customer required a 10,000kg safe working load (SWL) and the weight of the load would need to be distributed evenly during lifting, ensuring a safe and controlled lift. 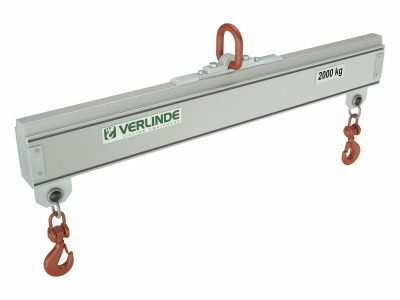 The lifting solution required should be flexible, configurable in a low headroom environment and rated to the correct lifting capacity. 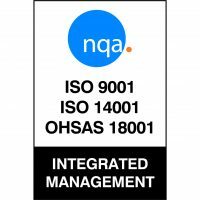 Our customer, an innovative market leader in the plastic product manufacturing industry required bespoke lifting lugs to assist the manual handling elements of their operation. The lifting lugs were required to attach securely to our customers injection moulds so our design team worked with our experienced team of fabricators to manufacture pairs of lifting lugs to the precise measurements our customer required, whilst ensuring the lugs provide the load capacity required. Our customer, a global leading producer of aero engines for large civil aircraft and corporate jets required a lifting beam that could safely lift, handle and lower uneven loads. Our customer’s operation required a lifting solution to safely lift, handle and lower uneven loads like engine parts with a maximum lifting capacity of 500kg. 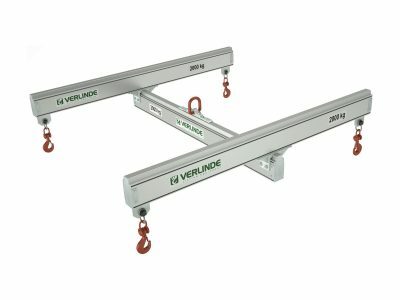 In order to facilitate this requirement, the lifting beam would need to include adjustable drop centres, as well as a design feature to address the centre of gravity challenges when lifting and handling uneven loads. 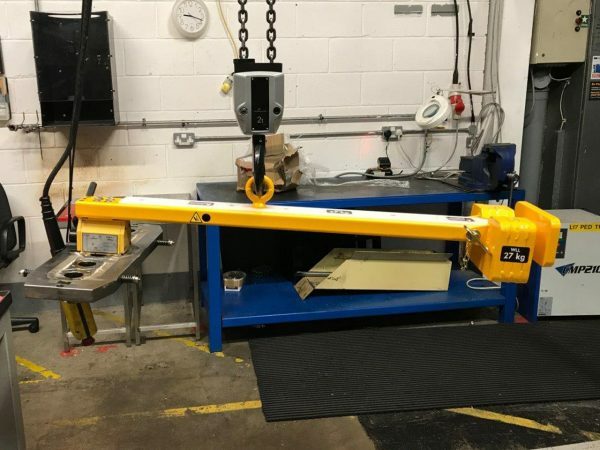 Our customer urgently required a lifting solution to work with their existing jib crane and electric chain hoist configuration that could replace their existing manual handling process for a 30kg tool component. As well as urgency, another challenging aspect of this project was the customers need for a solution that would enable operators to safely lift the tooling approximately 400mm into the machine and then hand position it. 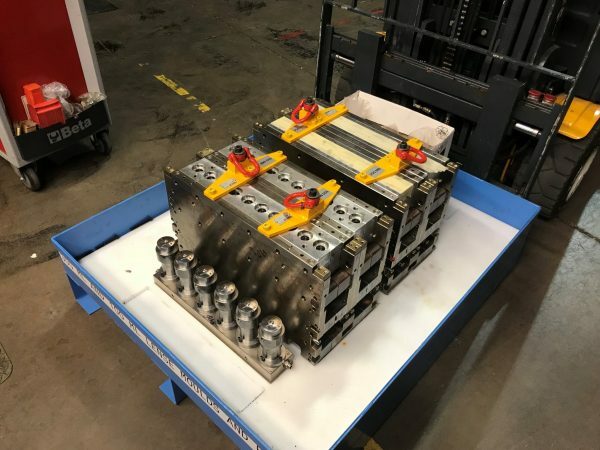 Our customer, a leading engine manufacturer, required a series of lifting beams to configure with their existing crane system to carefully and safely handle heavy components during the manufacture process. The customers intended application is to lift a range of components, so due to the varied size and weight of the loads, our customer required a 1,000kg safe working load (SWL) and the weight of the load would need to be distributed evenly during lifting, ensuring a safe and controlled lift. 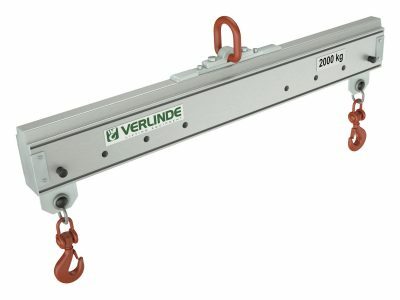 The lifting solution required should be flexible, configurable in a low headroom environment and rated to the correct lifting capacity. Please try to be as accurate as possible. Please provide us with a summary of your intended lifting application, detailing overall weight and dimensional information for the object being handled. 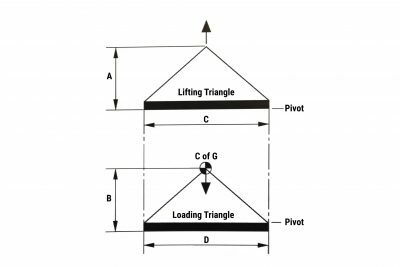 Please include any images or drawings of the intended lifting operation to assist us in providing you with a accurate solution. 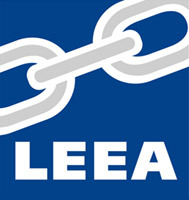 Do you require a Lifting Solution for your project? 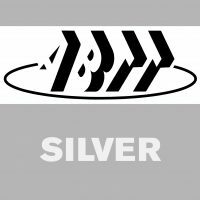 We offer a full range of complementary services for our customers including turnkey solutions for your lifting applications. We’d like to send you the latest Hoist UK and industry news, offers, promotions, events and technical information by email, post, SMS phone and other electronic means. 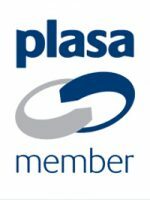 We’ll always treat your personal details with the utmost care and will never share them with other companies for marketing purposes. I do not want to receive communications about Hoist UK and industry news, offers, promotions, events and technical information.